Particle-turbulence interaction frequently occurs in industrial and environmental processes such as chemical reactors, combustion chambers, micro-bubble drag reduction, sediment deposition and aerosol dispersal. Here, motion of near neutrally buoyant, polystyrene beads in a turbulent boundary layer was studied using time-resolved PIV and PTV in a horizontal, square water channel. Data were taken in a streamwise aligned, vertical light sheet at the channel’s center. Results showed that mean streamwise velocities of ascending beads lagged behind the mean fluid velocity while rms values exceeded fluid ones. Particle Reynolds numbers indicated absence of vortex shedding and peaked near the wall. Quadrant analysis showed that ascending beads reside in ejections while descending beads showed less preference for sweeps. Instantaneous, near wall coherent structures and their interaction with the beads were visualized using spatial distributions of vorticity and swirling strength. Two case studies on resuspension and saltation indicated that bead lift-off coincided with a passing vortex creating an ejection-sweep cycle. In all cases, beads left the wall due to a spike in the shear induced lift force while the Magnus force was negligible. 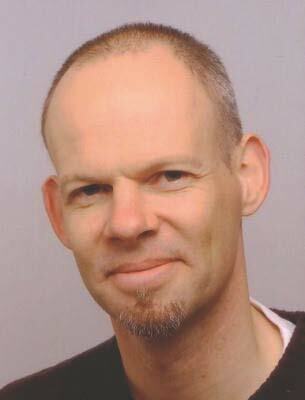 René van Hout’s research focuses on particles in turbulence and vortex induced vibrations of tethered structures. His main interest lies in the understanding of the physical phenomena underlying fluid–particle/structure interactions and his expertise lies in the field of experimental fluid dynamics. René van Hout received his MSc. in Mechanical Engineering from Eindhoven University of Technology in the Netherlands and in 2001 received his Ph.D. in the field of Multi-Phase Flows at the Department of Fluid Mechanics and Heat Transfer at Tel-Aviv University, Israel. Before joining the Faculty of Mechanical Engineering at the Technion – IIT, Israel, as an Assistant Professor in September 2006, he was a Postdoctoral Fellow at the Department of Mechanical Engineering of the Johns Hopkins University, Baltimore, USA.